Pipeline by Healthy Body Apps solutions, walkthrough, cheats for Classic Level 70 . Pipeline is a plumber puzzle game, in which you need to rotate pieces of pluming and connect them in a way that binds the two, or more, points without any leaks. Below you can find the solution for Pipeline Classic Level 70 . Pipeline [Classic] Level 70 Walkthrough, Cheats, Solution for Android, iPhone, iPad, iPod. Pipeline by Healthy Body Apps solutions, walkthrough, cheats for Classic Level 69 . Pipeline is a plumber puzzle game, in which you need to rotate pieces of pluming and connect them in a way that binds the two, or more, points without any leaks. Below you can find the solution for Pipeline Classic Level 69 . Pipeline [Classic] Level 69 Walkthrough, Cheats, Solution for Android, iPhone, iPad, iPod. Pipeline by Healthy Body Apps solutions, walkthrough, cheats for Classic Level 68 . Pipeline is a plumber puzzle game, in which you need to rotate pieces of pluming and connect them in a way that binds the two, or more, points without any leaks. Below you can find the solution for Pipeline Classic Level 68 . Pipeline [Classic] Level 68 Walkthrough, Cheats, Solution for Android, iPhone, iPad, iPod. Pipeline by Healthy Body Apps solutions, walkthrough, cheats for Classic Level 67 . Pipeline is a plumber puzzle game, in which you need to rotate pieces of pluming and connect them in a way that binds the two, or more, points without any leaks. Below you can find the solution for Pipeline Classic Level 67 . Pipeline [Classic] Level 67 Walkthrough, Cheats, Solution for Android, iPhone, iPad, iPod. Pipeline by Healthy Body Apps solutions, walkthrough, cheats for Classic Level 66 . Pipeline is a plumber puzzle game, in which you need to rotate pieces of pluming and connect them in a way that binds the two, or more, points without any leaks. Below you can find the solution for Pipeline Classic Level 66 . Pipeline [Classic] Level 66 Walkthrough, Cheats, Solution for Android, iPhone, iPad, iPod. Pipeline by Healthy Body Apps solutions, walkthrough, cheats for Classic Level 65 . Pipeline is a plumber puzzle game, in which you need to rotate pieces of pluming and connect them in a way that binds the two, or more, points without any leaks. Below you can find the solution for Pipeline Classic Level 65 . Pipeline [Classic] Level 65 Walkthrough, Cheats, Solution for Android, iPhone, iPad, iPod. Pipeline by Healthy Body Apps solutions, walkthrough, cheats for Classic Level 64 . Pipeline is a plumber puzzle game, in which you need to rotate pieces of pluming and connect them in a way that binds the two, or more, points without any leaks. Below you can find the solution for Pipeline Classic Level 64 . Pipeline [Classic] Level 64 Walkthrough, Cheats, Solution for Android, iPhone, iPad, iPod. Pipeline by Healthy Body Apps solutions, walkthrough, cheats for Classic Level 63 . Pipeline is a plumber puzzle game, in which you need to rotate pieces of pluming and connect them in a way that binds the two, or more, points without any leaks. Below you can find the solution for Pipeline Classic Level 63 . Pipeline [Classic] Level 63 Walkthrough, Cheats, Solution for Android, iPhone, iPad, iPod. Pipeline by Healthy Body Apps solutions, walkthrough, cheats for Classic Level 62 . Pipeline is a plumber puzzle game, in which you need to rotate pieces of pluming and connect them in a way that binds the two, or more, points without any leaks. Below you can find the solution for Pipeline Classic Level 62 . Pipeline [Classic] Level 62 Walkthrough, Cheats, Solution for Android, iPhone, iPad, iPod. Pipeline by Healthy Body Apps solutions, walkthrough, cheats for Classic Level 61 . Pipeline is a plumber puzzle game, in which you need to rotate pieces of pluming and connect them in a way that binds the two, or more, points without any leaks. Below you can find the solution for Pipeline Classic Level 61 . Pipeline [Classic] Level 61 Walkthrough, Cheats, Solution for Android, iPhone, iPad, iPod. Pipeline by Healthy Body Apps solutions, walkthrough, cheats for Classic Level 60 . Pipeline is a plumber puzzle game, in which you need to rotate pieces of pluming and connect them in a way that binds the two, or more, points without any leaks. Below you can find the solution for Pipeline Classic Level 60 . Pipeline [Classic] Level 60 Walkthrough, Cheats, Solution for Android, iPhone, iPad, iPod. Pipeline by Healthy Body Apps solutions, walkthrough, cheats for Classic Level 59 . Pipeline is a plumber puzzle game, in which you need to rotate pieces of pluming and connect them in a way that binds the two, or more, points without any leaks. Below you can find the solution for Pipeline Classic Level 59 . Pipeline [Classic] Level 59 Walkthrough, Cheats, Solution for Android, iPhone, iPad, iPod. Pipeline by Healthy Body Apps solutions, walkthrough, cheats for Classic Level 58 . Pipeline is a plumber puzzle game, in which you need to rotate pieces of pluming and connect them in a way that binds the two, or more, points without any leaks. Below you can find the solution for Pipeline Classic Level 58 . Pipeline [Classic] Level 58 Walkthrough, Cheats, Solution for Android, iPhone, iPad, iPod. Pipeline by Healthy Body Apps solutions, walkthrough, cheats for Classic Level 57 . Pipeline is a plumber puzzle game, in which you need to rotate pieces of pluming and connect them in a way that binds the two, or more, points without any leaks. Below you can find the solution for Pipeline Classic Level 57 . Pipeline [Classic] Level 57 Walkthrough, Cheats, Solution for Android, iPhone, iPad, iPod. Pipeline by Healthy Body Apps solutions, walkthrough, cheats for Classic Level 56 . Pipeline is a plumber puzzle game, in which you need to rotate pieces of pluming and connect them in a way that binds the two, or more, points without any leaks. Below you can find the solution for Pipeline Classic Level 56 . Pipeline [Classic] Level 56 Walkthrough, Cheats, Solution for Android, iPhone, iPad, iPod. Pipeline by Healthy Body Apps solutions, walkthrough, cheats for Classic Level 55 . Pipeline is a plumber puzzle game, in which you need to rotate pieces of pluming and connect them in a way that binds the two, or more, points without any leaks. Below you can find the solution for Pipeline Classic Level 55 . 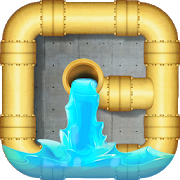 Pipeline [Classic] Level 55 Walkthrough, Cheats, Solution for Android, iPhone, iPad, iPod. Pipeline by Healthy Body Apps solutions, walkthrough, cheats for Classic Level 54 . Pipeline is a plumber puzzle game, in which you need to rotate pieces of pluming and connect them in a way that binds the two, or more, points without any leaks. Below you can find the solution for Pipeline Classic Level 54 . Pipeline [Classic] Level 54 Walkthrough, Cheats, Solution for Android, iPhone, iPad, iPod. Pipeline by Healthy Body Apps solutions, walkthrough, cheats for Classic Level 53 . Pipeline is a plumber puzzle game, in which you need to rotate pieces of pluming and connect them in a way that binds the two, or more, points without any leaks. Below you can find the solution for Pipeline Classic Level 53 . Pipeline [Classic] Level 53 Walkthrough, Cheats, Solution for Android, iPhone, iPad, iPod. Pipeline by Healthy Body Apps solutions, walkthrough, cheats for Classic Level 52 . Pipeline is a plumber puzzle game, in which you need to rotate pieces of pluming and connect them in a way that binds the two, or more, points without any leaks. Below you can find the solution for Pipeline Classic Level 52 . Pipeline [Classic] Level 52 Walkthrough, Cheats, Solution for Android, iPhone, iPad, iPod. Pipeline by Healthy Body Apps solutions, walkthrough, cheats for Classic Level 51 . Pipeline is a plumber puzzle game, in which you need to rotate pieces of pluming and connect them in a way that binds the two, or more, points without any leaks. Below you can find the solution for Pipeline Classic Level 51 . Pipeline [Classic] Level 51 Walkthrough, Cheats, Solution for Android, iPhone, iPad, iPod. Pipeline by Healthy Body Apps solutions, walkthrough, cheats for Classic Level 50 . Pipeline is a plumber puzzle game, in which you need to rotate pieces of pluming and connect them in a way that binds the two, or more, points without any leaks. Below you can find the solution for Pipeline Classic Level 50 . Pipeline [Classic] Level 50 Walkthrough, Cheats, Solution for Android, iPhone, iPad, iPod. Pipeline by Healthy Body Apps solutions, walkthrough, cheats for Classic Level 49 . Pipeline is a plumber puzzle game, in which you need to rotate pieces of pluming and connect them in a way that binds the two, or more, points without any leaks. Below you can find the solution for Pipeline Classic Level 49 . Pipeline [Classic] Level 49 Walkthrough, Cheats, Solution for Android, iPhone, iPad, iPod. Pipeline by Healthy Body Apps solutions, walkthrough, cheats for Classic Level 48 . Pipeline is a plumber puzzle game, in which you need to rotate pieces of pluming and connect them in a way that binds the two, or more, points without any leaks. Below you can find the solution for Pipeline Classic Level 48 . Pipeline [Classic] Level 48 Walkthrough, Cheats, Solution for Android, iPhone, iPad, iPod. Pipeline by Healthy Body Apps solutions, walkthrough, cheats for Classic Level 47 . Pipeline is a plumber puzzle game, in which you need to rotate pieces of pluming and connect them in a way that binds the two, or more, points without any leaks. Below you can find the solution for Pipeline Classic Level 47 . Pipeline [Classic] Level 47 Walkthrough, Cheats, Solution for Android, iPhone, iPad, iPod. Pipeline by Healthy Body Apps solutions, walkthrough, cheats for Classic Level 46 . Pipeline is a plumber puzzle game, in which you need to rotate pieces of pluming and connect them in a way that binds the two, or more, points without any leaks. Below you can find the solution for Pipeline Classic Level 46 . Pipeline [Classic] Level 46 Walkthrough, Cheats, Solution for Android, iPhone, iPad, iPod.